People consider vaping simply as a pastime or fun activity. Nevertheless, ePuffer worked hard to introduce more life-changing vape liquid variants. One of these useful variants is the Valerian Root E-liquid. It is a natural relaxant that can aid you in sleeping and removing stress. The Natural Valerian E-Liquid formula availabe only from EPUFFER. Valerian is a perennial plant that has been used as an herbal remedy since the time of the Ancient Greeks, who used it to treat digestive problems. The herb grows in damp areas throughout the Americas, Europe and northern Asia. Valerian root has been used for centuries to treat nervous system disorders, and it is commonly used as a sleep aid as well. As Valerian root ages, it produces a substance known as isovaleric acid. This compound and another acid known as valerenic acid are significant active ingredients that are present in the volatile oils found in Valerian root. These volatile oils are thought to be responsible for Valerian root's ability to relax the central nervous system and promote a good night's sleep. Does valerian root really work? Double blind studies have shown that Valerian root can decrease the amount of time it takes for people with mild insomnia to fall asleep. Valerian root is also used to treat anxiety disorders and counteract stress. It has a sedative effect that helps to relax the central nervous system and provide a feeling of calmness. In addition to its use as a tranquilizer and sleep aid, many herbalists also recommend Valerian root as a remedy for tension headaches and muscular pain because of its ability to act as a muscle relaxant. EPUFFER® has been creating eliquid flavors for over 11 years, longer than any other company in Canada and US with quality you can trust. All eliquid Flavors proudly crafted by finest chemists and flavorists in the field using Gluten-Free, Vegan, Kosher, Alcohol-Free, and non-Allergenic raw material. Compatible with all brands of: Vape Pods, E-Cigarettes, Vape Pens, Electronic Pipes, Electronic Cigars, RDA, RBA and MODs. Valerian is a popular herb used by Greeks as a natural remedy for digestive problems since time immemorial. It is a versatile herb that can grow in the Americas, Europe, and Northern Asia. This effective herb was also used to treat nervous system disorders and sleep problems. Taking advantage of this knowledge, ePuffer mixed Valerian root with other beneficial components such as Sage and Cannabis terpene extracts. The result is a powerful and healthy Valerian Root E-liquid that can help and satisfy many vapers for years. Since smoking is very hard to let go, vaping became a good modern solution. As you vape e-liquids, you are only inhaling and exhaling vapor—not real smoke. 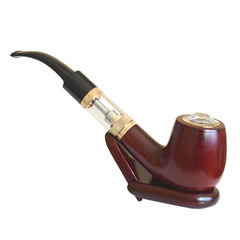 The vapor can contain mild nicotine essence, depending on your preference. ePuffer’s Valerian Root E-liquid is a totally different vape variant due to its remedial effect. With the Valerian Root vape liquid, you can now satisfy your craving, deal with your sleep problem, and take care of your health—all at the same time! Traditional cigarettes can never give you such great benefits. Question Is it approved by FDA? Valerian's is used as treatment for anxiety, insomnia and a muscle relaxant. It is sold as a dietary supplement and not subject to regulation by the Food and Drug Administration. Question Is there any side effects of valerian root? Question What is recommended dosage of valerian? Take no more then 25-30 puffs within 1 hour of bedtime or when stressed. Question What is ePuffer e-liquid? E-Liquid is the juice used to refill an empty or dried out electronic cigarette cartridges. 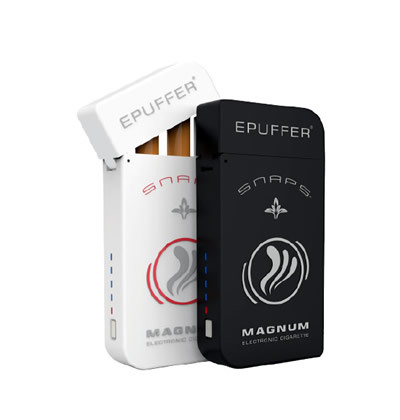 Question Can I use ePuffer valerian e-liquid with my electronic cigarette model? 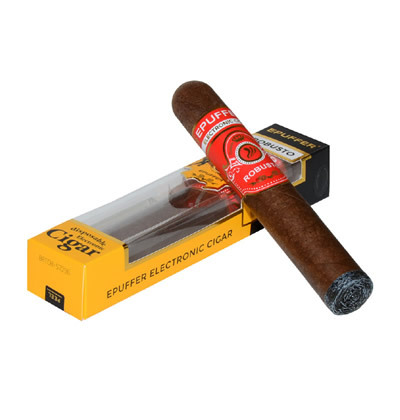 ePuffer e-liquid is compatible with all brands of electronic cigarettes, Pipes and Cigars. Note! To preserve original taste quality, we do not recommend refilling the same cartridge for more than 2-3 times. I cannot believe it is working! I have tried many sleeping pills like Zaleplon, Triazolam and even tried high dose of Melatonin, but nothing could make me sleep for more than 2 hours. I've read about valerian root from the internet and decided to try ePuffer's Valerian eliquid. I'm so happy that I have, as my sleep is much longer now and I wake up full of energy. This product should be on TV! Does wonders for stress, anxiety, and insomnia. Also tastes amazing. Better than CBD. Vapes really well. I suffer from high anxiety and have trouble sleeping. 15 Puffs of this and those troubles are all gone. Highly recommended product. Not sure whether the relaxing effect is real or just wishful thinking, but it certainly seems very relaxing. The sage smell (supposedly it smells a little like cannabis) is prominent, but doesn't seem overpowering, although I did not notice the terpenes (not sure I would, as I'm not too familiar with the precise smell). An unusual but interesting e-liquid, and a nice change from the blends I'm used to so far. I have anxiety just like all the other reviews. And i must say this product has really helped me. I feel relaxed and calm. And i used to even has a hard time sleeping at night i vape this right before bed and im out and having a great nights rest. The flavor is just something that i really love the most its something that i never had before but it so unique that it makes u want to vape all day long. The only complaint that i have that isn't really a complaint but a request would be for this to be sold in a bigger bottle and add the dropper. I have bought 3 of these at a time right now but i would really like to be something i can buy in bulks since i tend to do that very often i would rather have several bigger bottles instead of the small ones. I have insomnia and tension headaches which are like bad migraines so I bought some of epuffer's Valerian Root and WOW I get more sleep and it works great for my tension headaches!!! I'm a lifelong user. THANKS EPUFFER! Does your product Valerian root E juice have Diacetyl in it? Dear Austin, please find below information as requested. 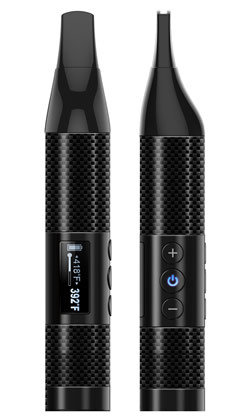 This truly does the trick IF you Vape it in a QUALITY Vape pen. I have suffered with insomnia my whole life so this is an amazing find. I have a disabled adult daughter who has ADHD. A few puffs of this helps her calm. She keeps it next to her at all times. It also helps her sleep at night. This product is amazing!!! I was skeptical on the valerian root bc my 2mg klonapin has little effect after all these yrs. I heard 20-40 puffs is recommended but I felt a very calm buzz and my anxiety left after I puffed ab twice that. (There's no dosage on the package). Definitely something I'll always keep in my purse! Got it from ca to tn n 5 days n mail too.